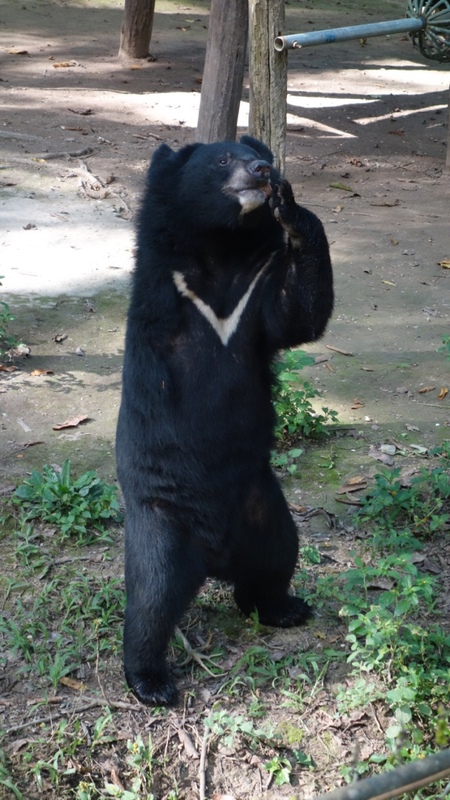 They had been rescued from poachers or bile farms (they keep them in tiny cages and harvest their BILE for medicine). This little guy lost an arm in a trap, but don’t feel too bad for him. He was swinging around his rope and platform structures like a pro.